Looking for a bite to eat in Tallahassee that won't break the bank? Check out our list of some of the best restaurants in Tallahassee that serve up delicious food that's also cheap. Bring your friends and family because these places are not only cheap and tasty but fun, too! If you like your dogs surrounded by hip and totally radical 80s and 90s gear, check out Voodoo Dog. Voodoo Dog serves up some serious out-of-this world hotdogs from their Hari Kari dog which is topped with pineapple, chives, and teriyaki to their Wake 'n Bake which is bacon-wrapped and has fried egg and cheddar cheese. Don't worry, if hotdogs don't do it for you, Voodoo Dog also offers hamburgers such as the Kawabunga topped with pineapple, bacon, and Swiss and white American cheese. If the savory hot dogs and hamburgers haven't done you in, try one of their double-dipped chocolate cheesecakes served on a stick to cleanse your palate. For a healthier start to your day, make a visit to Freshroots Kitchen where they serve tasty bites for a cheap breakfast and lunch. From the Smoked Salmon Benedict to the Newton Melt consisting of sliced figs, chopped pecans, honey, melted brie, and provolone. Even better than their delicious menu items is their price tag; none of their melts cost more than $7.95! If you're not hungry, don't worry. Stop into Freshroots for some fresh-ground, locally-roasted, organic, and Fair Trade coffee. Be sure to stop in early as they close every weekday at 3 p.m. and are closed Saturday and Sunday. For a pizza place whose slogan is "slices as big as your head," you won't leave here disappointed, especially since a single slice is as cheap as $3.50! There are two locations in Tallahassee, one on Market Street and one on Tennessee Street, so regardless of where you are in Tallahassee, you won't be far from one. Many flock to Momo's to see their pizza dough tossed in the air like you see in the movies. Momo's is a pretty casual dive-restaurant, but what they lack in design and ambiance, they greatly make up for with their incredible pizzas! Momo's also offers a wide variety of beers, too. Calling all vegans! The Sweet Pea Cafe serves their cheap dishes from farm-to-table and are locally sourced and operated. Their brunch specials change every weekend and are posted on their Facebook page the morning of and on their restaurant chalkboard. Try their Spicy BLT to the "Falawesome" made wit hhomemade falafel, cucumber, tomato, lettuce, and onion with a lemon-tahini sauce! If you're looking for a mimosa, they offer three different types as well as plenty of beers and coffee. The Sweet Pea Cafe is open 10 a.m. to 9 p.m. Monday through Friday and 10 a.m. to 4 p.m. on Saturday and Sunday. At Bird's, you build the meal of your dreams for cheap. From oysters to burgers and other sandwiches, you pick your base, spices, and toppings. Bird's offers over 20 different toppings, and these can all be added to your grouper sandiwch, boca burger, and even your hot dog. Bird's also has a full list of draft, can, and bottle beers. Stop into Bird's and enjoy your meal with often live performers, karaoke, or even trivia depending on the night. 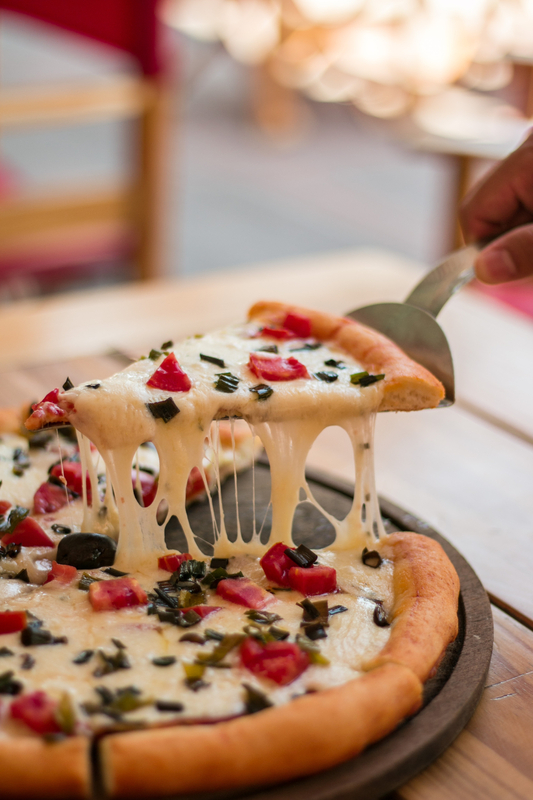 There's definitely no dress code for any of these restaurants, so stop in after the gym for a post-workout pick-up or with your friends before a night out for some cheap eats in Tallahassee.